As the Midwest enters the second day of a deep freeze, one Good Samaritan is helping the homeless stay warm. According to a report on Fox 35, someone offered to pay for hotel rooms for 70 homeless people who were camping in tents in Chicago. The offer came after the Chicago Fire Department confiscated approximately 100 propane tanks given to the group to keep warm as temperatures plummeted more than 20 degrees below zero. The tanks were removed after one exploded. City officials told the Salvation Army that the tanks had been removed and the organization had made plans to move the group to a warming center when it learned the news of the kind gesture. 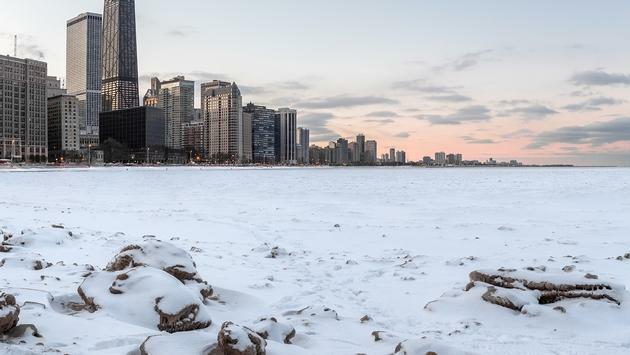 The Polar Vortex that brought snow, ice and historic low temperatures to the Midwest and has since moved into the Northeast, also impacted air travel and roadways in Chicago. According to reports, Chicago’s Midway and O’Hare airports faced significant issues, with thousands of flights canceled. Most people stayed inside as temperatures in the region were lower than those reported in Antarctica and the North Pole. Even the Postal Service was forced to suspend deliveries. Thank goodness for the good people out there protecting those who had nowhere warm to be.